After a brief hiatus, Weekend EXP has returned for 200% from Friday at 17:00 - Monday at 12:00. 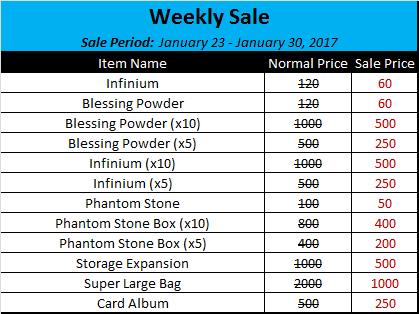 Our Refinement, Storage, and Phantom Stones are on sale! The top floor now has an Ultra Superlarge Bag! Use your Phantom Stones and try and get more bag space with the Phantom Pyramid's new 7F item!